Note: On the Tunnel Settings, mark the checkbox on Don't pull routes option. Navigate to Firewall → Rules → LAN. Navigate Diagnostics → States → Reset States → Check Reset the firewall state table → Reset. 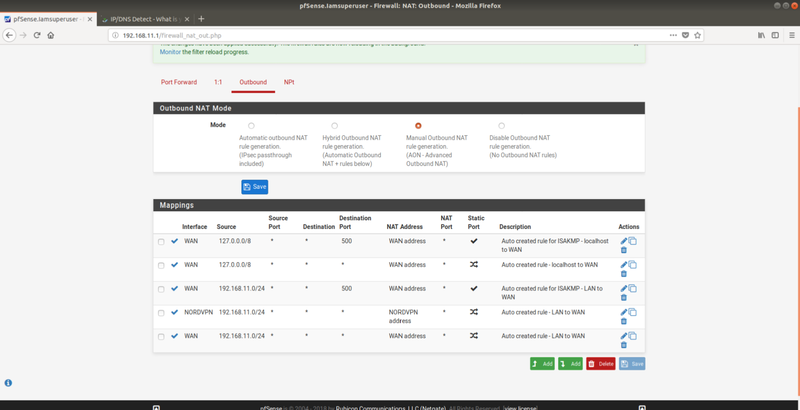 That is it, you can check ipleak.net or any other website to see whether your devices are routed through ISP connection and rest of them via VPN tunnel. How to configure your Asus router running original firmware (AsusWRT) ? How to configure an EdgeRouter or Ubiquiti devices? How to configure Portal with NordVPN ? Which router should I use with NordVPN?